It’s amazing how quickly a band can grow and change. 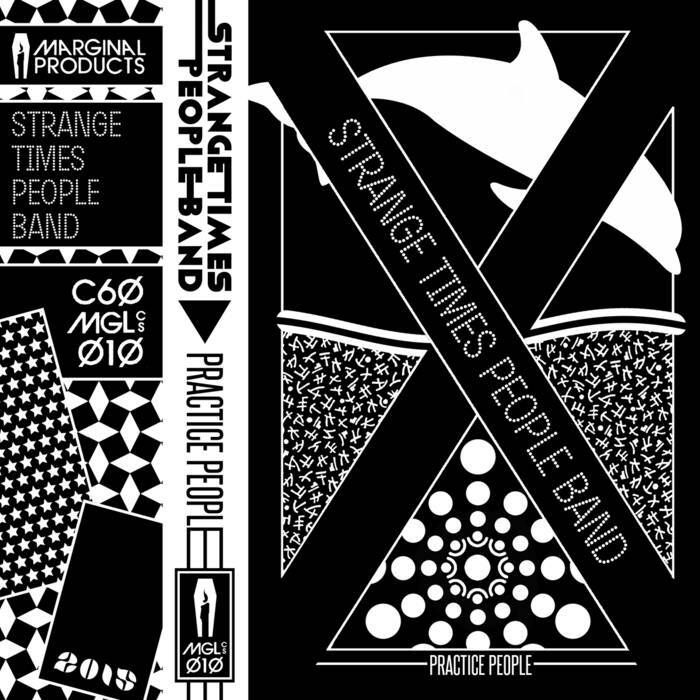 After listening to the Baltimore-based Strange Times People Band, manifested in physical form in a limited edition cassette, I christened them with a new genre: tribal noise experimental. Their debut album, appropriately titled Practice People (Marginal Records), was a collection of raw, lo-fi, free form improvised music. Only a year and a half after Practice People was released, the band (Caroline McCrystle Marcantoni, Dan Breen, James Johnson and Jen Kirby) has returned with a vastly different and integrally mature untitled follow up. Their new and final release does away with a lot of excess sounds found on their first album; this time they’ve tightened their focus on 4/4 pulsing relativity, presenting clearly formed experimental songs. On their second release, you won’t hear the tapping of snare drums, or the whooshing of reverbed extended synth notes as the focal point of the music, as in Practice People. This new collection is much more intentional, especially in their drum and bass synchronicity, creating solid backbones for each of the four tracks on this album. Caroline Marcantoni’s voice is clear, audible, and lyrically more confident than ever before. In general, the growth of the band’s artfulness and ability grew leaps and bounds – which can certainly be attributed to the recording and mixing duties of producer and music technician, Craig Bowen, and mastering engineer Mickey Freeland. It may seem like a small thing to have a couple extra hands on deck when it comes to production and post-production, but it makes a world of difference in the end product. That said, the music, the composition, the style and the choices of execution all come from a band of local musicians who have spent major chunks of their lives recording and performing in Baltimore for over a decade. In the first song, “Aye Tu,” opens with an otherworldly drum and bass intro that relinquishes any preconceived notions of what each instrument’s traditional roles should be. The bass line sounds as if P-Funk, Talking Heads, and Kraftwerk we all stuck in a bomb shelter on Mars. Coupled with Jen Kirby’s calculated pulsing usage of the bass drum, “Aye Tu” breaks all of rock’s compositional rules. Marcantoni’s almost cooing vocals sound enticing and confident as she sings the lyrics, “Bring the Spice,” slightly resembling the vocals of Allison Wolfe of Bratmobile. Bassist Dan Breen has the ability to make a bass walk and talk. You don’t find that every day, and you don’t even find it every decade. Breen’s opening bass line for “Andion” is impressive in its preciseness, but then he fills his walking bass line with about six extra notes that leave you sincerely wondering how the hell he’s able to do it. Breen has the ability for full-on R&B, soul, or funk track by himself and he finally gets a couple of minutes to show that in “Andion” without interruption, or unabashed overshadowing. Soon after, the percussion gets just as real with rapid Congo drumming and handclaps that take serious chops to keep up with Breen’s bass line, which continues to rage, morph, change, seeming to pull the song forward over his musical right shoulder. Marcantoni comes in about three and a half minutes later singing eerie existential lyrics, her voice slightly peaking the speakers, adding to the drama and darkness of this low-end, compulsively comforting style of “Andion.” James Johnson has the toughest job of knowing when to bellow heavily through his keyboard synthesizer and when to hold back, which he does tastefully. This track, and bits of the entire album, reminds me a lot of The Slit’s 1979 debut album, Cut; the attitude, the audacity, the sexiness and morbid femininity of “Sundown” is electrifying. And last, but not least, the fourth and last track “Big Jenny” fades in James Johnson’s whispering, steady synth as Breen returns to playing his quintessential walking funk bass line, with drummer Jen Kirby dancing around both musicians, weaving her beats with theirs. All the while, Marcantoni wails the band into waxing crescendos, causing Breen to play several movements lead by changing bass lines. What’s interesting about this track is that it sounds improvised, yet heavily rehearsed at the same time. You can’t tell if everyone is just going with the changing moods of Breen’s drastically different bass lines that change every few measures, or if the entire band decided to make the changes democratically. Either way, this track is well compromised, meaning that everyone is on top of their game to hit every brief sonic movement, which end just as quickly as they start. All in all, Strange Times People’s Band’s sophomore untitled album is an experimental music masterpiece and, at the very least, it is undeniably rich, exciting, thoughtful, and full of skill, performed by musicians who put a lot of work and realized intention into this album. It’s hard to find a Baltimore-based album that is as tightly composed, well recorded, and filled with members whose chemistry shows up and takes such a sprawling seat in your ears and psyche. It should be noted that this is a farewell review. 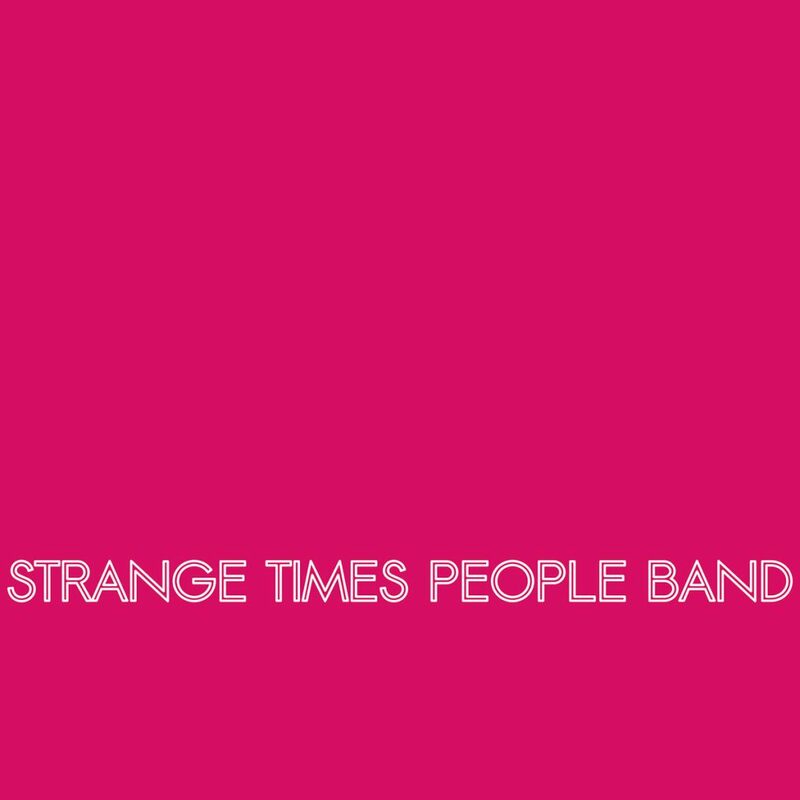 Strange Times People Band is no longer because singer Caroline Marcantoni lives and travels predominately in Europe. She returned to play an album release show at the 5th Dimension in Baltimore on September 29th, closing the final chapter on the band’s live performances as well as their recording history. Farewell to a band who didn’t just drop off with another lo-fi, improvised warehouse recording (with all respect to artists who do this) at the end of their journey, but walked away with a gift that put a definitive sonic period at the end of their efforts. The end of this story is a happy one – simply because the album is rich, earnest, and crisply executed.